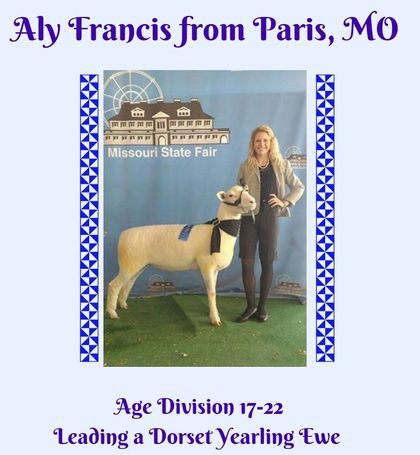 Goal: To provide a current Missouri 4-H or FFA member a grant opportunity to purchase ewes for a starter flock. 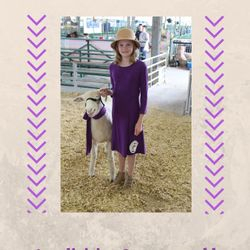 Reward: Up to three winners will receive a $600 grant to be used to purchase ewes from a sale or current MSP member and work with this member in a mentoring program. The sheep purchased may be purebred, registered or commercial stock. 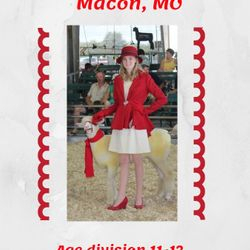 Application Requirements: Applicants must not currently own a flock, be involved in Missouri 4-H and/or FFA, successfully complete this application with responses to essay questions attached, and contact a current MSP member (current MSP membership directory may be obtained by contacting the executive director) to obtain a letter of recommendation and agreement by the member to participate in a mentoring program. Winner Requirements: The successful applicant will be required to purchase starter ewes from a current MSP member and provide transportation of the sheep back to their home, purchase a ram or coordinate with their mentor on a breeding program, ewes must be purchased by September 1 and bred to lamb the following spring, the starter flock must be kept in the winners possession for a minimum of one year, and a total budget (income and expenses) for the year should be presented by the applicant at the next MSP annual meeting. 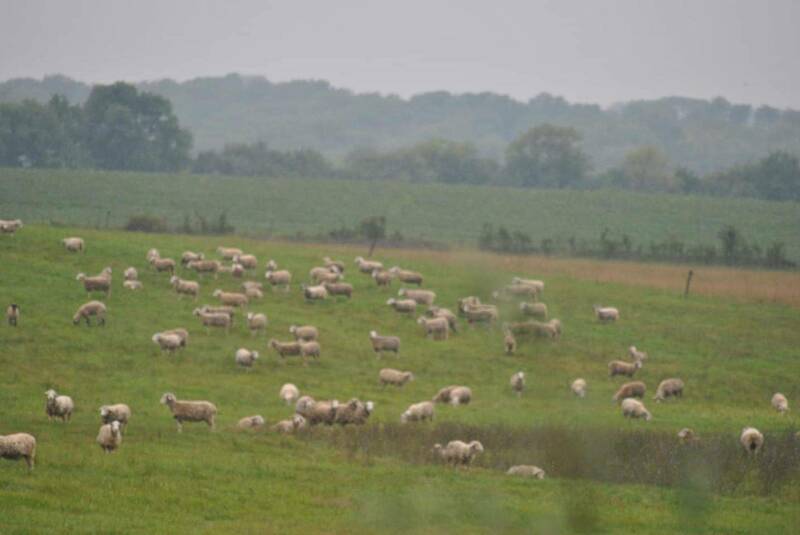 Download the application for the Missouri Sheep Producers Starter Flock Grant Program below. Each year MSP awards four $500 college scholarships to high school seniors and current college students. The scholarship application must be postmarked on or before May 15. The application can be downloaded below. Contact Stacy Ward by email at stacy9273@yahoo.com or 314-578-1624 with questions. 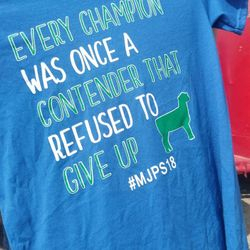 The MSP FFA Sheep Public Speaking Contest is designed to develop individual public speaking skills and to promote interest in and awareness of the many different aspects of the sheep industry. 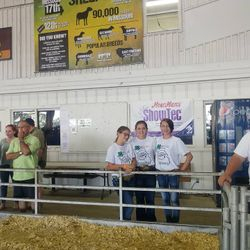 The MSP FFA Public Speaking Contest will be open to all active FFA members who are regularly enrolled in Agricultural Education courses during the current calendar year. Any previous winner who represented his or her district will be deemed ineligible to participate in the contest again. Each local FFA chapter will determine the local representative to the area contest. Winners of the area contests will compete in their district level contest. There will be no more than six contestants in each district contest. The FFA Public Speaking Contest Committee chairman and District Supervisors of Agricultural Education will arrange for a time and place for the district contests and select judges. The district contest must be held prior to the third weekend in November. Each of the six FFA districts may send one representative to state contest. The MSP State FFA Speaking Contest will be held in conjunction with the annual State Farm Bureau Convention held in December. Contestants shall be required to wear official FFA dress when competing in the contest. Scoring for the contest will be in accordance with the scorecard used in the Advanced Prepared Public Speaking Division of the State FFA Career Development Contests. Each contestant’s manuscript will be the result of his or her own efforts. Subject area should reflect the sheep industry. The speech should be prepared on double spaced typewritten pages of white 8½” by 11” paper. Contestants should complete an accurate bibliography giving credit to others where direct quotes, phrases, or special dates are used in the manuscript. 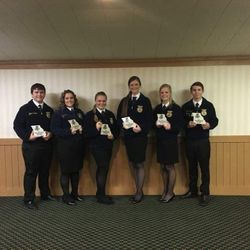 District FFA contests winners will submit three copies of their speech to the MSP Public Speaking Contest Chairman at least two weeks prior to the state contest. Each speech shall be a minimum of six minutes, and a maximum of eight minutes in length. Each contestant will be allowed five minutes additional time in which he /she will be asked questions relating to their speech. A one (1) point deduction will be accessed for every second over or under the allotted time period on each evaluation sheet. 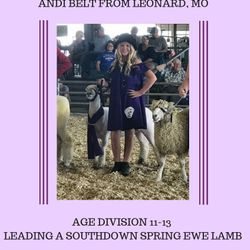 A $50.00 first place award will be presented by the Missouri Sheep Producers to each of the district winners who participate at the state contest. 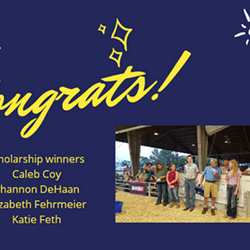 Additional cash awards will be presented to the top three individuals at the State MSP FFA Sheep Speaking contest. To download this information, click on the files below. 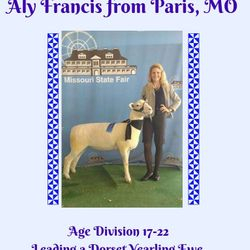 ©2018 Missouri Sheep Producers, Inc.